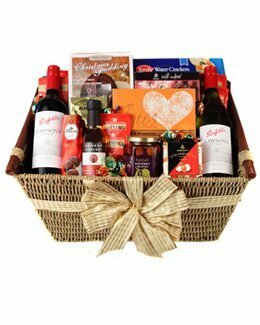 A delightful mouthwatering assortment of milk chocolate Easter Eggs including: Humpty Egg Cadbury Gift Box 130g Cadbury Chocolate Easter Bunny 100g 4 x 17g Cadbury Milk Chocolate Easter Eggs Presented in a glossy gold gift box with ribbon and attached gift card. The Stamp Map Passport from Luckies is a personal, pocket-sized map with interchangeable stamps, styled like a passport. Collect stamps of your travels or use to plan future trips. Comes in a beautiful presentation box. The Colorlogue from Luckies is a great way to tick off those dream destinations. Pass the time on long journeys or when relaxing under a sun drenched beach hut in paradise by colouring in the places you have been, learn the colours and designs of flags and bring colourful buildings to life on paper. 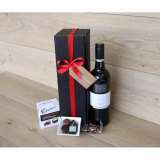 Say a special 'thank you' with this chocolate gift box made for celebrating. 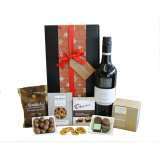 Wolf Blass is an award winning Chardonnay Pinot Noir complemented by hand crafted chocolates, cookies and premium nuts.